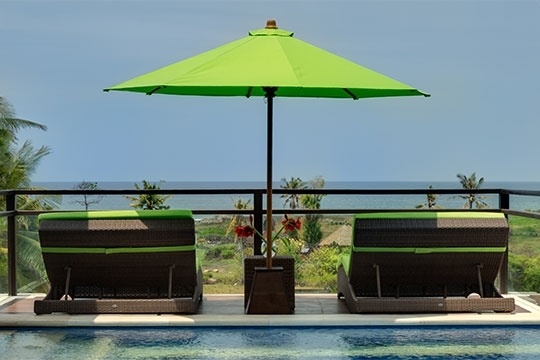 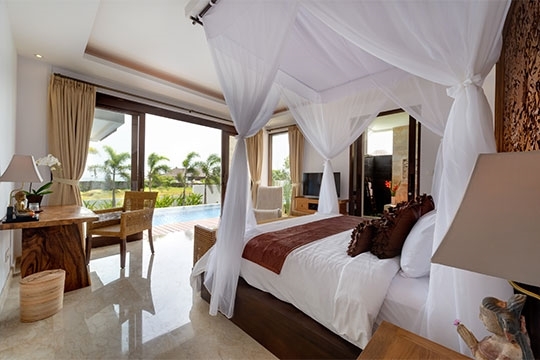 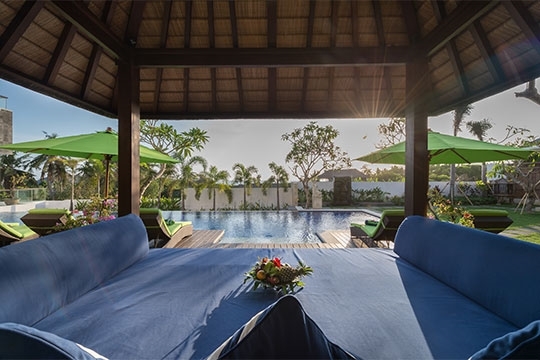 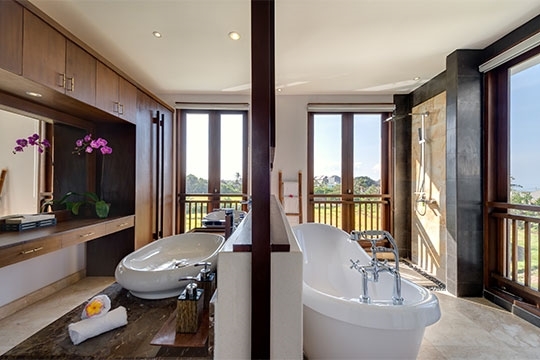 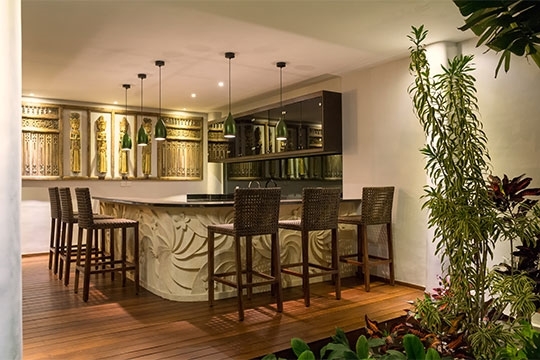 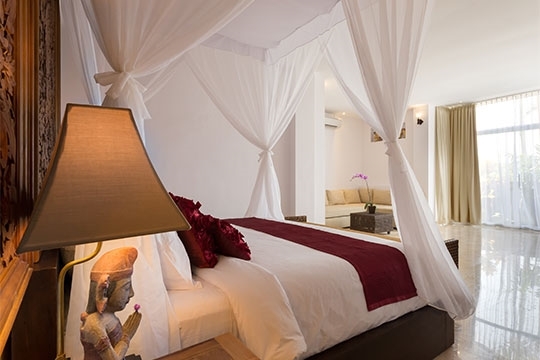 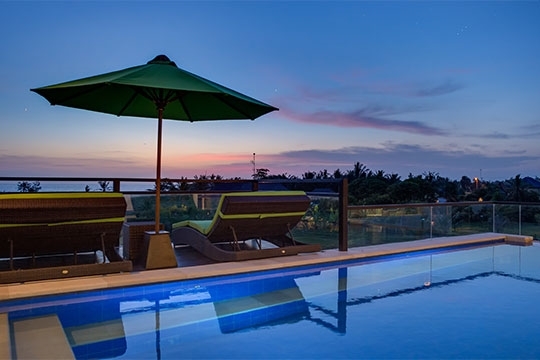 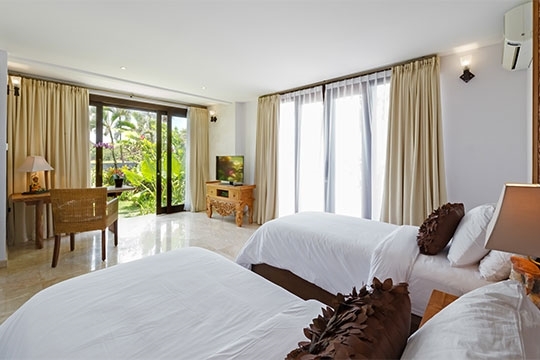 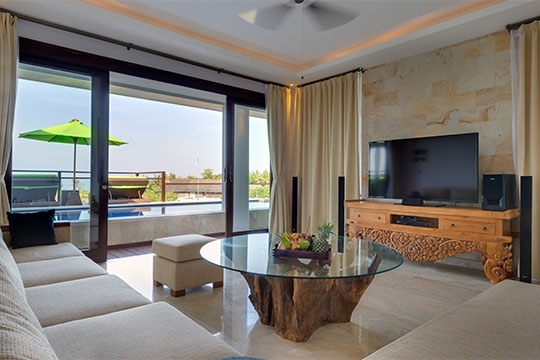 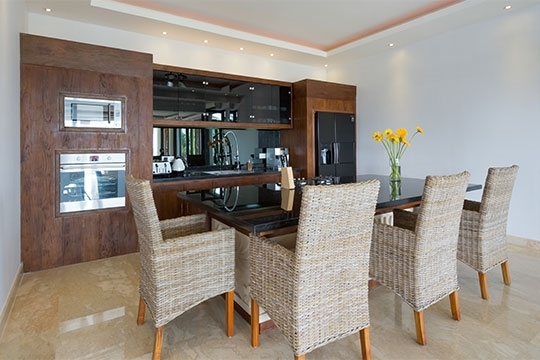 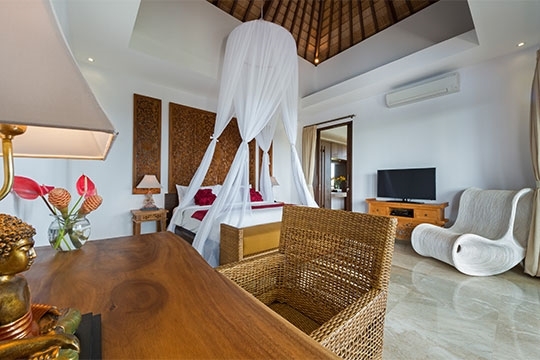 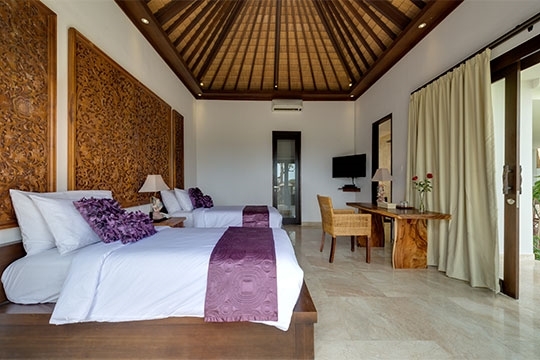 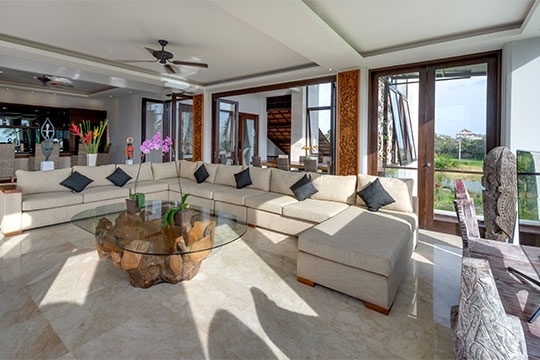 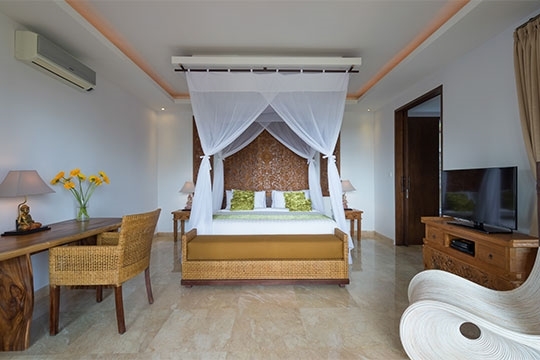 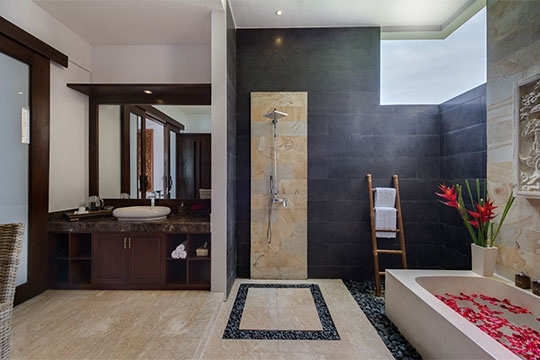 Villa Luwih - an elite haven | Pictures, Reviews, Availability | Bali Villas: Private and Luxury Vacation Rentals in Bali. 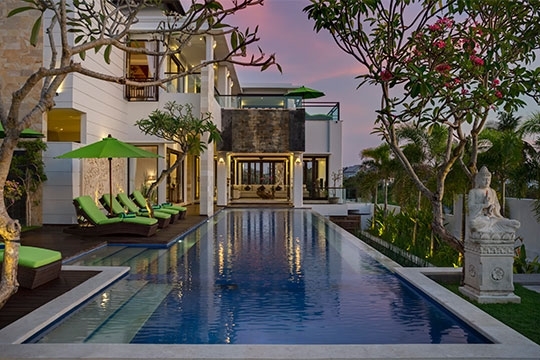 Situated down a quiet Canggu street, a stone’s throw from the sea, the tropical oasis of Villa LuWih awaits you. 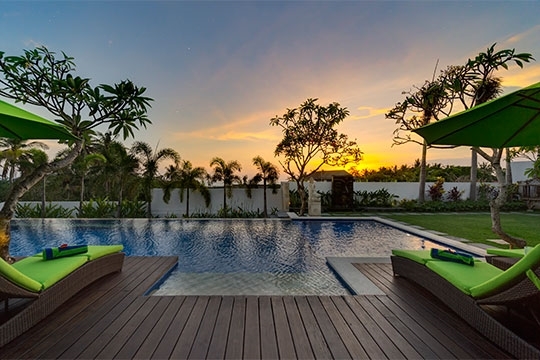 With its modern simplicity, two infinity pools and dramatic waterfall feature, Villa LuWih stands out from the crowd. 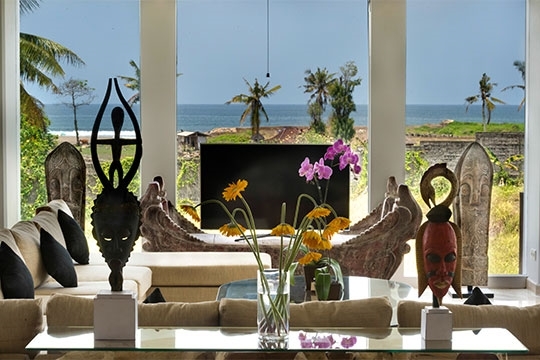 Facing west, LuWih affords tremendous views of the Indian Ocean and Bali’s famous sunsets. 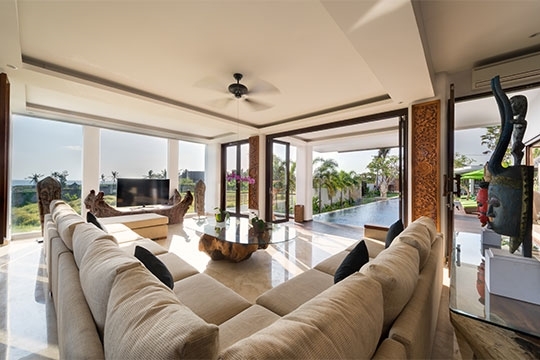 This vast six-bedroom villa boasts plenty of indoor and outdoor living spaces, lush tropical gardens, an outdoor bar, and unobstructed ocean views from all angles. 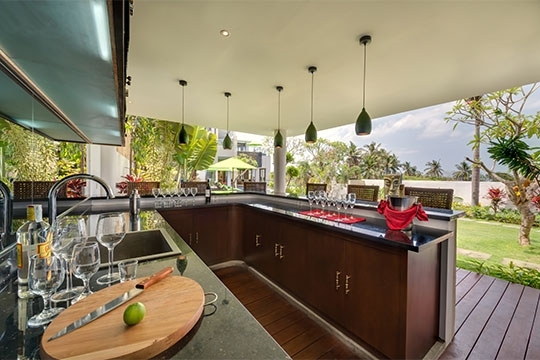 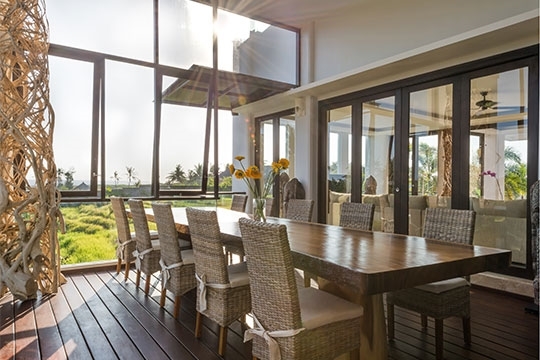 Staffed with a friendly, professional team, including a skilled chef, this luxurious villa is perfect for large families or friends traveling in a group.